A recent report from UK fraud prevention service Cifas revealed that young Britons are increasingly being persuaded to act as money mules for hackers and other criminals. The study highlighted a 27% rise in the number of 14 to 24-year-olds who allowed their bank accounts to be used to launder the proceeds of criminal activity last year. Throughout 2017, Cifas noted an 11% increase in the number of bank accounts that may have been used for money mule activities, suggesting that criminals are ramping up their efforts to recruit the cash-strapped to launder their ill-gotten gains. Worryingly, the number of people aged under 21 who let their bank accounts be used in this way rose by 36% in the UK last year. While there was an increase in cases of money muling across all age groups in Britain in 2017, it appears as though younger people have become a prime target for those who have dirty money to clean. One of the biggest problems for criminals who amass large amounts of cash through their illicit activities is how to make that money appear as though it has come from a legitimate source. Over recent years, a growing number of individuals and groups with funds to launder have used the internet to recruit mules who are happy to have cash paid into their bank accounts before forwarding it on. After receiving dirty money, mules are typically either instructed to transfer it overseas, or withdraw cash and use a service such as Western Union to wire it out of the country they live in. For their trouble, they are offered a percentage of the sum they process, or a one-off fee. In some cases, mules can be offered thousands of dollars for what amounts to fewer than 30 minutes “work”. While this can seem like an easy way to make some quick cash, the majority of mules are unaware of the punishment they could face if they are caught. On top of this, it is not uncommon for criminals to refuse to pay money to mules once they have done what is asked of them. 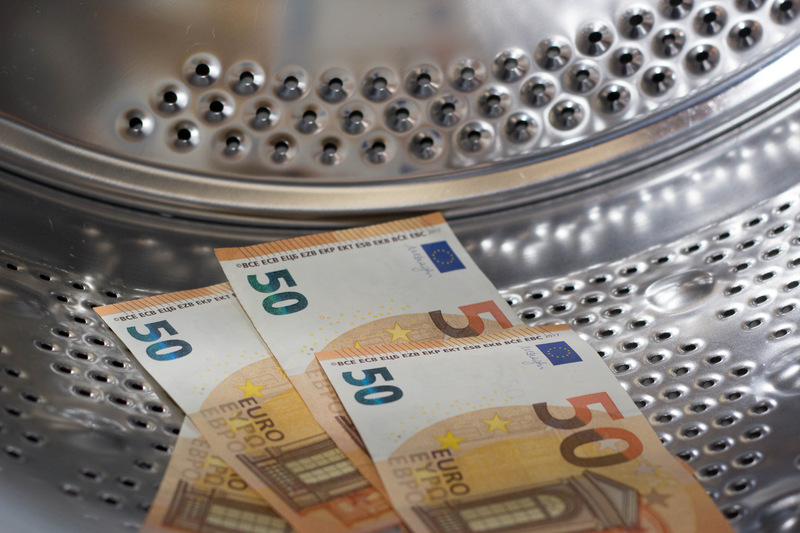 Despite this, the Cifas data suggests the methods criminals are using to recruit money mules are working, and that warnings from law enforcement authorities about what could happen to anybody caught laundering the proceeds of crime are simply not being heard. Criminals looking to recruit money mules often place advertisements on legitimate employment sites and classified listings services. Their ads are often worded in a way that disguises the true nature of the role they want potential mules to fulfil, and are typically intended to appeal to the economically disenfranchised, such as immigrants, the unemployed and students. A focus on the latter group is likely a key driver behind the increase in UK money mule cases involving young people. Messaging apps such as WhatsApp and social media platforms including Facebook are also used to lure young people in. Unfortunately for those who are tempted to act as mules without knowing the gravity of the offence they might be committing, ignorance will typically not be accepted as an excuse if they are caught by the police. The likelihood of money laundering offences committed by mules being detected is high, not only on account of the fact that banks are constantly strengthening their procedures and systems to better detect suspicious activity, but also because law enforcement authorities routinely target organised criminals who seek out mules to launder their cash. In November last year, Europol and the European Banking Federation (EBF) teamed up with police forces in 26 countries to crack down on criminal organisations that use money mules and money mules themselves. The operation resulted in 159 arrests, and the identification 766 money mules and 59 money mule organisers operating in various countries across the globe. In total, law enforcement agencies that took part in the crackdown detected illicit money transfers worth $36 million. Commenting on the success of the operation in a joint statement, Europol, Eurojust and the EBF said they would launch similar initiatives in the future as part of their efforts to fight money laundering and other financial crimes. The figures released by Cifas earlier this month suggest that these types of operations are having little impact on money mule organisers or the individuals who are willing to allow their bank accounts to be used in this way. The disparity between the number of organisers and mules detected during the Europol-backed crackdown goes some way to explaining why. While criminals looking for mules to wash their dirty money know how to avoid being detected by police, those desperate enough to take up their offers are typically oblivious to the seriousness of what they are being asked to do. As such, cases of money muling are likely to continue to rise, resulting in individuals who would never dream of getting involved in this type of illegal activity facing the possibility of lengthy jail terms, and acquiring criminal records that could seriously alter the course of the rest of their lives.